If you are willing to accept mail from those of us moviegoers who have no access to your kingdom — those of us who (as the movie reveals) have been kept from discovering this high-tech African paradise, those of us who are apparently looking at an illusion of dense forests when we zoom in toward Wakanda on Google Earth — I would like to be among the first to congratulate you. You’ve won me over in ways that no Marvel movie has. This isn’t fanboy enthusiasm. I’ve seen all of the Marvel films out of a sense of responsibility, entertained by great actors in flamboyant performances, amused but often bored by the comic-book narrative formulas, and weary of simplistic good-guy/bad-buy showdowns. The Avengers and Doctor Strange are the only two I’ve had a desire to see more than once… until now. Black Panther — your story about the death of King T’Chaka, the rise of King T’Challa, his quest to recover some of your magical precious metal called Vibranium from murderous villains, and his subsequent struggle with a righteously angry challenger for the Wakandan throne — is a dazzling big-screen moviegoing experience. While I’m still uncertain how your kingdom’s massive Invisibility Cloak prevents planes from straying into your airspace, and I probably don’t want to know what happens to birds who strike your concealment shield, I cannot wait to see the wonders of your world a second time. I write to you with more than praise, though. Your movie movie made me think, which Marvel movies rarely do. And, as a result, this one has left me troubled by questions. I wish I could say that Black Panther stands out as an exceptional Marvel movie narrative. Alas, I cannot. Exceptional context? Yes. Your film’s imaginary world is really not so imaginary: It represents a vision that represents histories of racial and cultural memory that have been all but beaten out of recent generations by centuries of cruelty and exploitation at the bloody hands of European colonization and slave traders. It represents a big-screen flag raising: a celebration of dignity and cultural riches that the rest of the world doesn’t know about and, often, doesn’t want to know about. It’s a triumph, and a humbling thing for someone like me, embarrassed and ashamed of the privilege I’ve inherited through my own ancestors’ disgraceful history. Exceptional conscience? Indeed! 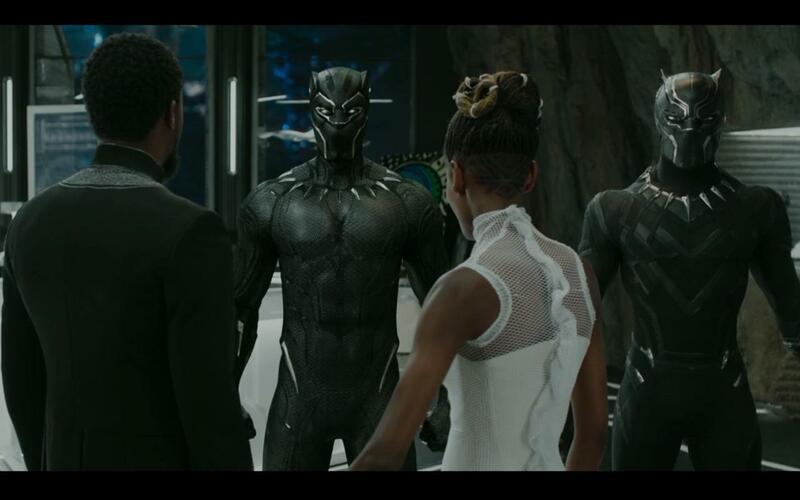 Black Panther complicates the usual good-guy/bad-guy routine by giving our hero — King T’Challa (played with quiet nobility by Chadwick Boseman) — an attachment to a wrongful and fearful isolationism, wanting to keep his kingdom of Wakanda separate from a world that would seek to corrupt it. Who can blame him? And yet, this prioritization of self-preservation leads to withholding help when help is needed, and from refusing relationships when they are essential to the future of a healthy world. The stage is set for a hero’s moral awakening. And it helps that he’s surrounded by wise, powerful, and assertive women as well as men. 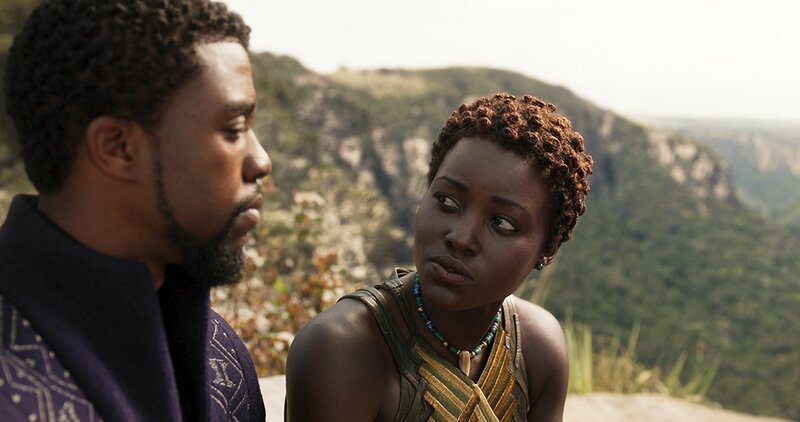 In Wakanda, we don’t need to see a righting of wrongful gender inequality. 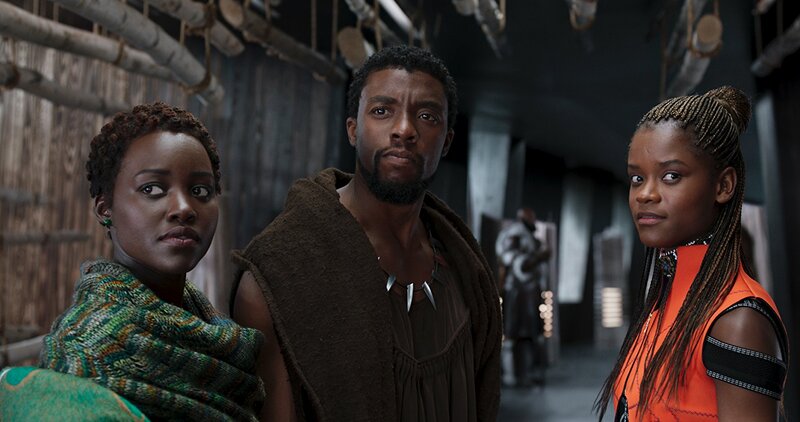 All we need to do is see the dignity, strength, and intelligence of T’Challa’s mother Ramonda (Angela Bassett), his genius sister Shuri (Letitia Wright), his justice-seeking sweetheart Nakia (Lupita Nyong’o), and the army led by Okoye (Danai Gurira), and we can all see in Wakanda what we need to see realized around the world. 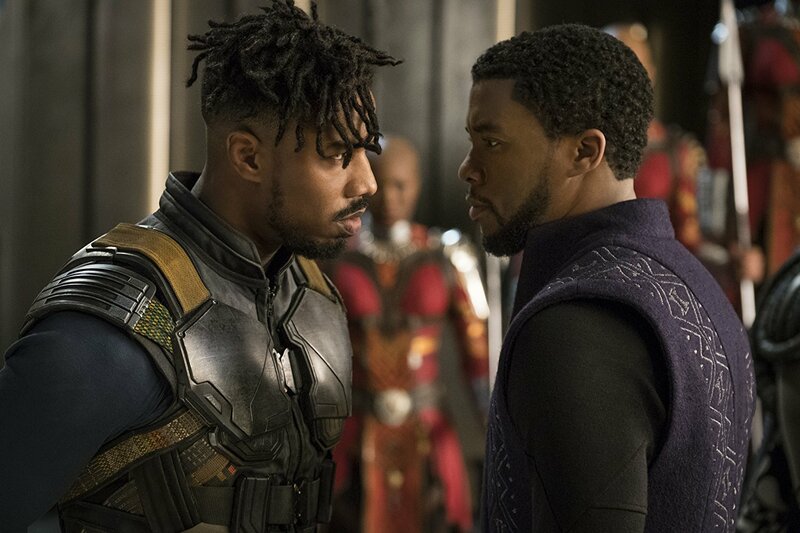 The hero/villain dynamic is also complicated by the motivations of T’Challa’s most dangerous enemy — Eric Killmonger (played by Michael B. Jordan, who revels and struts in this moment with the cocky fury of a real-world Panther: Cam Newton). Killmonger isn’t easy to write off. His reasons are righteous, though his tactics are not. He wants to seize the throne in the name of generations of Africans who, cut off by Wakanda’s extraordinary resources and powers, have suffered unspeakably and (worse) unnecessarily. So, yes: On matters of context and conscience, this is an ambitious epic. Black Panther is a lot of wonderful and inspiring things, and many of those things are technical achievements. Far more engaging than the familiar, formulaic beats of its heroic symphony are the unconventional instruments that make it rock. 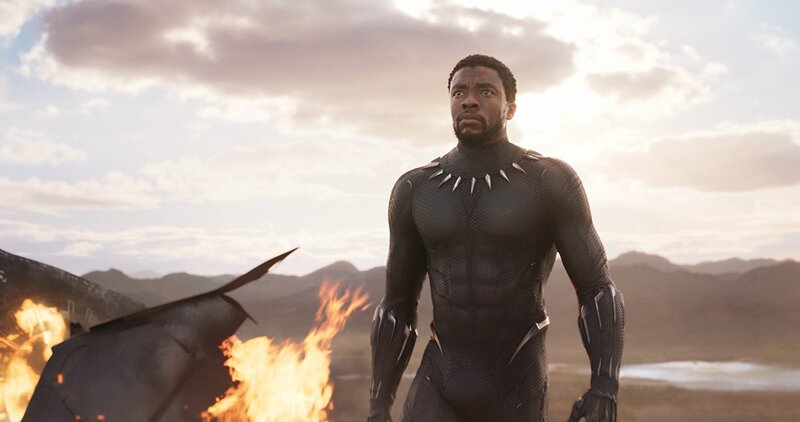 T’Challa’s story isn’t particularly engaging, but it serves as a sturdy scaffold for all kinds of colorful pageantry, winning performances, and meaningful advances in cultural and racial representation. All manner of praises for Black Panther’s sights and sounds have already been sung: Not since Doctor Strange has the Marvel template come alive with such kaleidoscopic spectacle. I would watch this movie just to bask in the glory of the costume designs — from the bold green lip plate sported by Isaach De Bankolé (who, for obvious reasons, has no dialogue) to the exquisitely filigreed crown worn by Angela Bassett to that spectacular makeup Forest Whitaker wears. I love how you’ve made such ancient and traditional designs so convincing in part of a futuristic society. Even their highest-tech Wakandan fighter jets impress, looking from above and below like tribal masks. The action scenes are an aesthetic pleasure, even outside of that folk-art context. 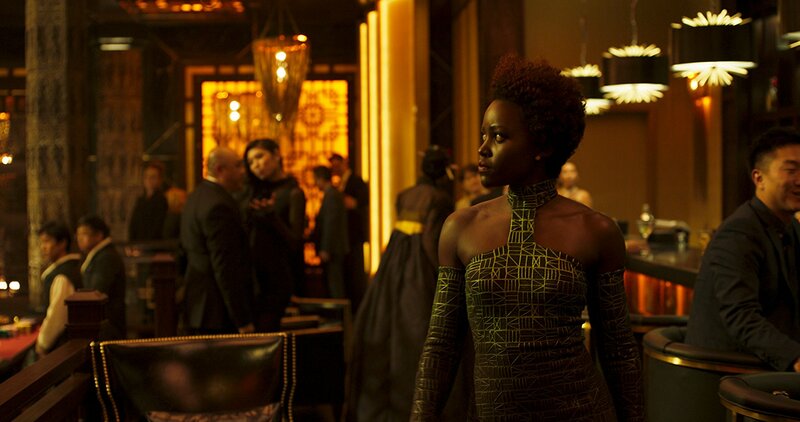 The car chase hyped in the trailer turns out to be a rollercoaster ride of sleek, streaming neon, and the big James-Bondy battle in a dark casino outdoes Skyfall with some thrillingly gratuitous choreography and color that made me gasp; one flourish of Danai Gurira’s red dress made me applaud. And I think this may be the first Marvel score that I’ve been eager to hear out of the context of a screening: the music that Ludwig Göransson brought back from Senegal and South Africa gives this adventure a personality all its own. So, this brings me to the questions that rose to the surface after I emerged from the happy delirium of the crowd, questions that bug me like itches I can’t scratch. Because for all of the things that Black Panther achieves, a work of efficient, surprising, and inspiring storytelling, it is not. If Wakanda is such an advanced and enlightened society, and if its leaders rule in wisdom, why permit such a ridiculous ritual as a hand-to-hand combat challenge for the throne to continue? Is physical supremacy really so important in a king? There might be someone with a legitimate complaint against T’Challa, but what if that challenger stands no chance against him in the ring? The fact that such an important matter is decided by a fight that could potentially end with a fatality suggests that there are problems even more fundamental than isolationism at work in Wakandan society. And it’s a problem that has infected the Marvel franchise from the beginning. If you really must focus on introducing challengers as if the throne is a World Wrestling Federation trophy, why can’t you make your hero more interesting than his challengers? I admire T’Challa’s softspoken style and even-temperedness: those are good leadership qualities. But he doesn’t command the screen the way any of his opponents do. You want us to believe that the Wakandan world has chosen to hide from the rest of our world for centuries, rather than offer their technological advantages, their miracles of healing, and their wisdom to help suffering peoples around the world. And you acknowledge, in this movie, that this history is a shame, a wrong that needs correcting. But I have a difficult time believing that the Wakandans were willing to keep their cover during the extraterrestrial invasions that threatened the entire earth like those we’ve seen in The Avengers, especially if they had the technology to stop it. This movie seems awfully willing to forgive Wakanda’s history of isolationism without taking into account how many times they’ve put the whole planet at risk, how many genocides they’ve ignored, how many environmental crises they’ve allowed to fester. Are they enlightened, or aren’t they? Is it because you know that Marvel movies have a global audience that you speak in such simplistic dialogue? Marvel movies are often praised for their snappy writing. Most of these characters stay within their action-figure molds, delivering lines that sound like they were written with a Marvel-branded “magnetic poetry” kit. Only a few scenes here achieve anything close to nuance. I’m rather fond of the good-humored exchanges between T’Challa and his feisty sister Shuri, who seems to idolize James Bond’s Q. Did you pay any attention to the reviews for the DC franchise’s first decent movie — Wonder Woman — which consistently lament how so much fun and imagination could conclude with such a mundane showdown between a hero and a villain? Don’t get me wrong: Michael B. Jordan is one of the most distinctive and interesting villains to come along in a Marvel movie, and he becomes more interesting as the movie goes on. Unfortunately, he’s most interesting at the end, just when we’re really getting to the root of his complaints, the heavy heart of the matter. With so much potential to explore larger themes, it’s a shame that Black Panther’s battle scenes become increasingly derivative — those between tribal factions, those involving fighter jets rocketing out of Wakanda, and those that involve T’Challa’s fights with Killmonger — dragging this movie back down into the familiar muck, where moral quandaries are resolved with physical blows rather than triumphs of humility, generosity, or grace. This problem hangs like a curse over Marveldom. Only Doctor Strange has found a way to momentarily break its tedious grip. What is it with this movie’s Return of the King obsession? I’m not just talking about the distracting confrontations between Andy Serkis (who seems giddy here, unleashed to be a monstrous human being instead of a Gollum or an ape) and Martin Freeman (who seems to combine his two most famous performances — Bilbo and Watson — without finding anything new, unless you count a distracting American accent that often sounds overdubbed). Mostly, I’m distracted by the climactic battle scenes, the twists that turn them, the appearance of armored pachyderms, and some of Black Panther’s far-too-Legolas-like maneuvers. I’ll stay off the spoilers, but it’s a shame that Wakanda, with its concerns about renewable energy sources, can’t stop recycling on the battlefield. Why not invite some more imaginative and artful screenwriters to put more “Brainy” in the Vibranium? 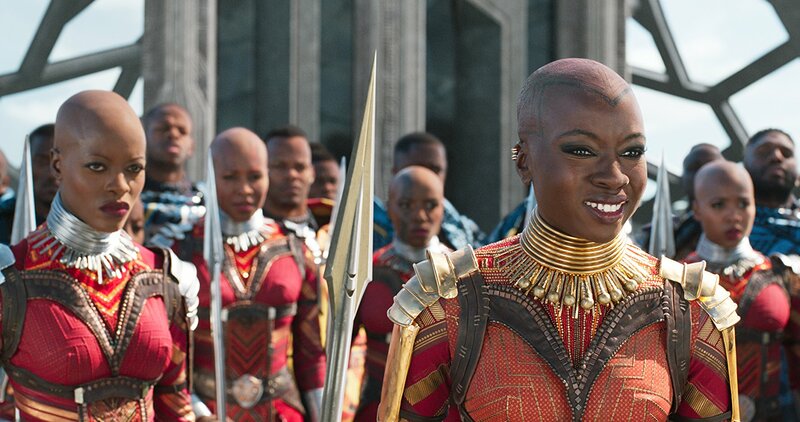 … especially, the sight of that all-female army led by Danai Gurira’s Okoye. 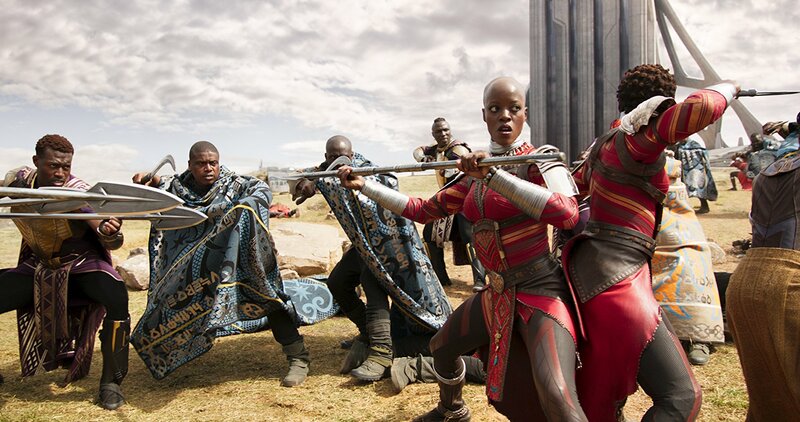 Okoye’s brilliantly acrobatic performance with her vibranium spear, will stick with me as one of the most kinetic, balletic wonders I’ve seen at the movies since Zhang Yimou’s Hero. Frankly, if the Wakandan Royal Family has any sway with the High Council of the Kingdom of Marvel, I’d like them to put in a request for a spinoff movie focusing on Okoye herself. She steals this show whenever she’s in it. And now that Wakandans are finding a new spirit of engagement with the world beyond, I’d love to see where her combination of conscience and kick-assery take her. Similarly, I find myself hoping that Marvel is bound for a braver, more creative future. So long as it brings on visionary artists — like your movie’s writer-director Ryan Coogler, his co-writer Joe Robert Cole, and Doctor Strange‘s Scott Derrickson, who have all refused to settle for the standard parameters of Marvel storytelling — they just might turn me around and make me a Marvel fanboy yet. Ant-Man and the Wasp looks like fun. Saw the movie twice this weekend. Really loved it. I’m 100% with you on the ritual combat thing. It makes no sense and it’s a lynchpin of the whole plot. And beyond that, Wakandans give lots of lip service to being peaceful and only fighting as a last resort, yet they’ve apparently stockpiled hoards of weapons that can be distributed all over the world in the blink of an eye. And in the context of a film that’s really trying to be about finding a better way than war, there sure is a lot of killing going on. Having said all that, the good FAR outweighs the bad, and I think there’s a lot more good than you’ve given it credit for. I often have to remind myself these days that as I get older, I’ve seen and read SO many stories that it’s easy for me to spot the derivative or the predictable, but the reality is that many of these stories that I’m unsatisfied with are being created by and for people who are just now dipping into the Cauldron of Story (Tolkien) that I’ve been feasting on for years. So yes, the LOTR callbacks seem obvious to you and me, but there are African American kids out there who would NEVER watch those movies and who will be bowled over when they see those ideas here. 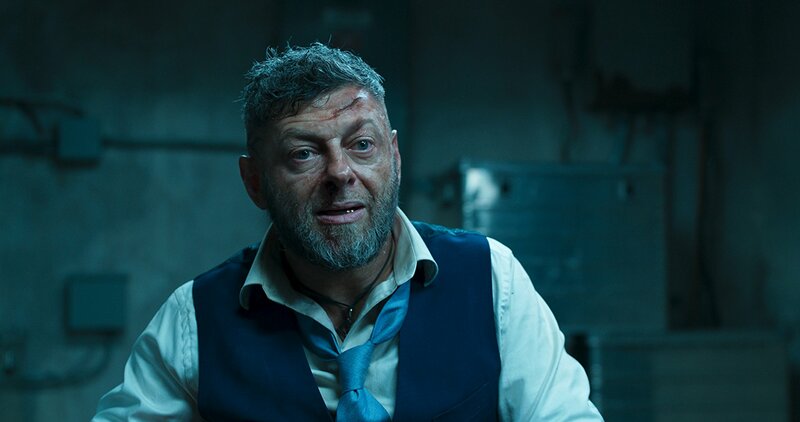 Likewise, the criticism of Serkis and Hobbit being distracting isn’t really fair (though I thought Serkis was distracting because his performance was so over the top–this idiot is an uncatchable international arms dealer? Really?). Pete, I posted a rough, hastily-composed review last night, and revised it this morning to give the film more praise. Upon finishing that revision, I discovered your comment. I hope the revision addresses some of the strengths of the film that you felt I’d left out. Thanks, Jeff. You nailed it with the revisions (though if we were in the same room, I’d still take you to task over a few of your questions 🙂 ). My wife and I had a HUGE discussion about the problematic nature of the ritual combat and inherent violence, and I really appreciate your thoughts there.